Happy Tuesday everyone! I just finished a great weekend with my family in town for the holiday, and it’s finally starting to feel like spring. You can’t help but be in a good mood when there’s a change in weather – for the better. I can attest to this first hand, as I tried my hardest to boycott winter for pretty much the entire month of February. I was traipsing all over California and even managed to get a quick trip to Miami in. 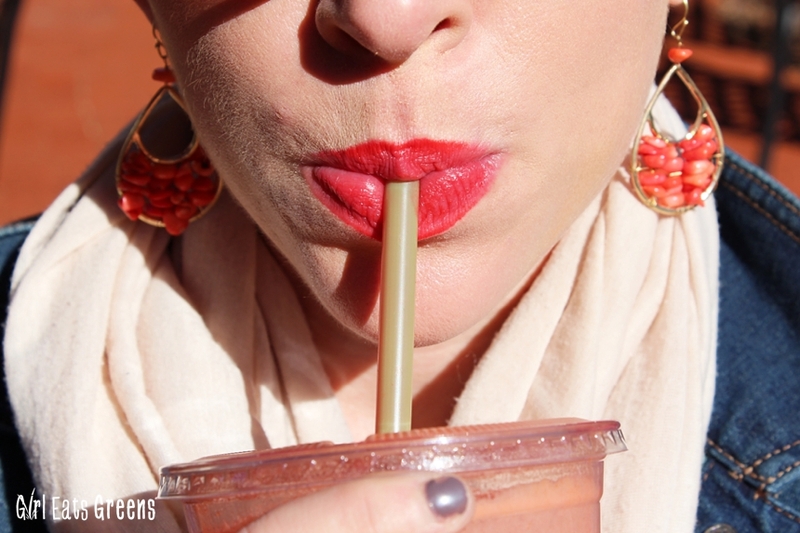 All that sunshine did wonders for my mood and my tastebuds. 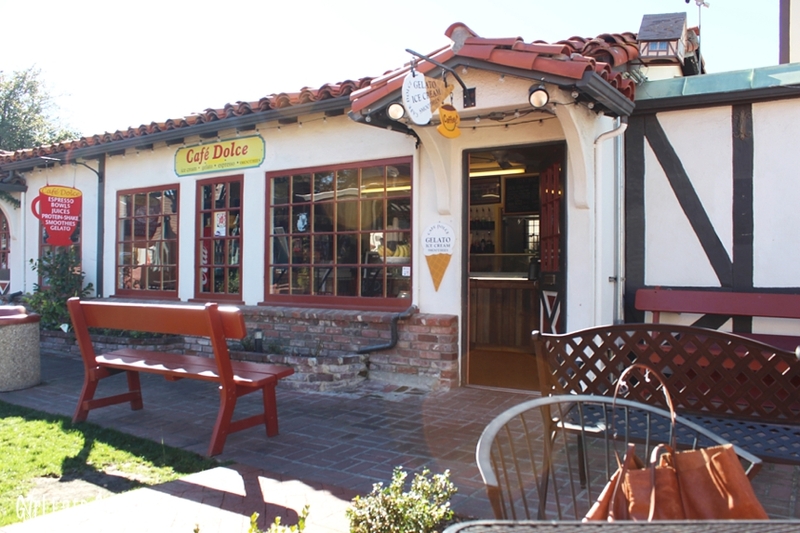 There were a lot of great food options, of course, and one of my favorite things about traveling is finding little gems that surprise you like Cafe Dulce in Solvang, CA. The first night in Solvang we had a really great dinner. The next morning we were wandering around the little shops before heading out for a long day of wine tasting. 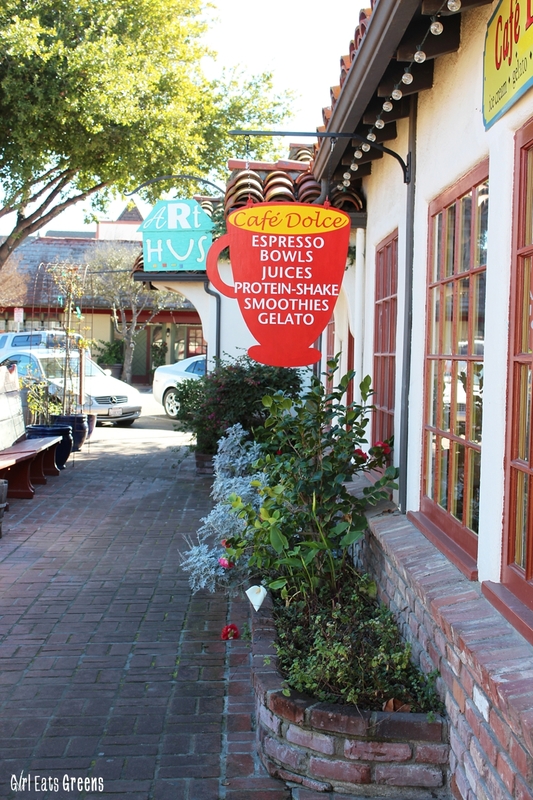 We stumbled upon Cafe Dulce in a little garden-like area in the middle of downtown. 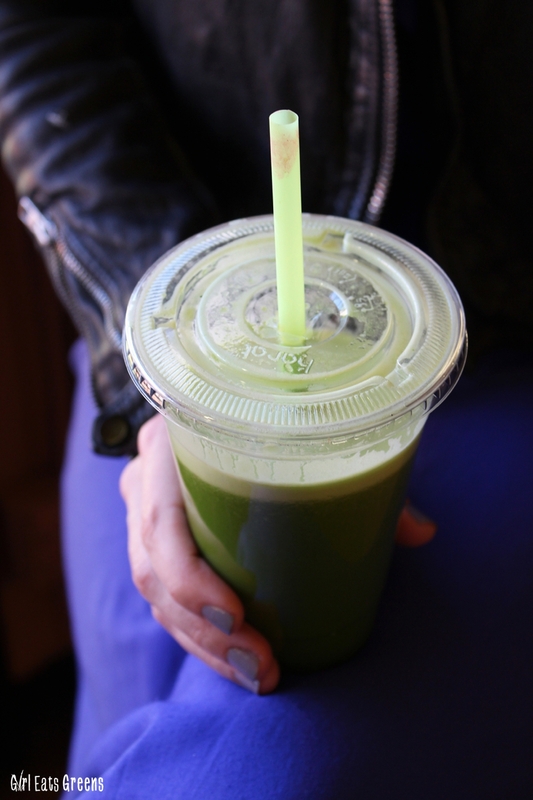 To prep for a long day of wine tasting, we thought it would be a great pitstop to have a bit of green juice to at least get some veggies in. 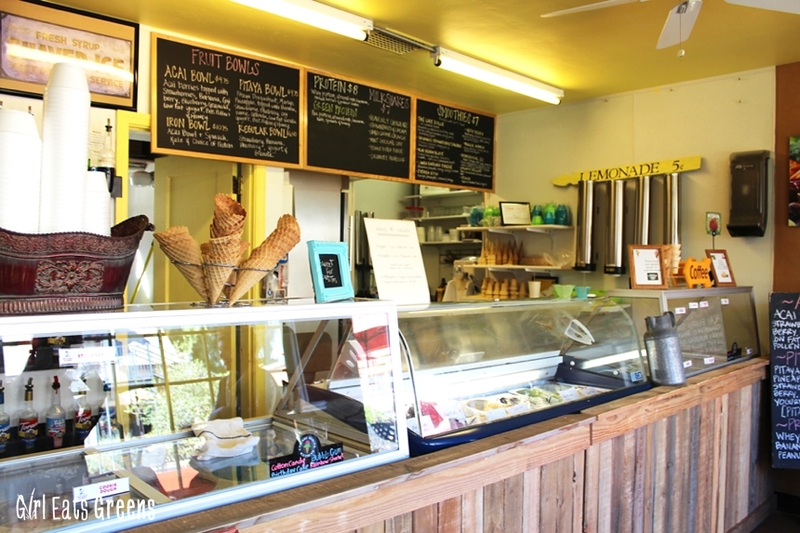 The cafe is adorable – teeny tiny and totally homey. I’m pretty sure it was the owner who we stumbled upon manning the juicer and talking to another man about his date for the night. There was pretty much everything you could think of being served – with quite a broad range. 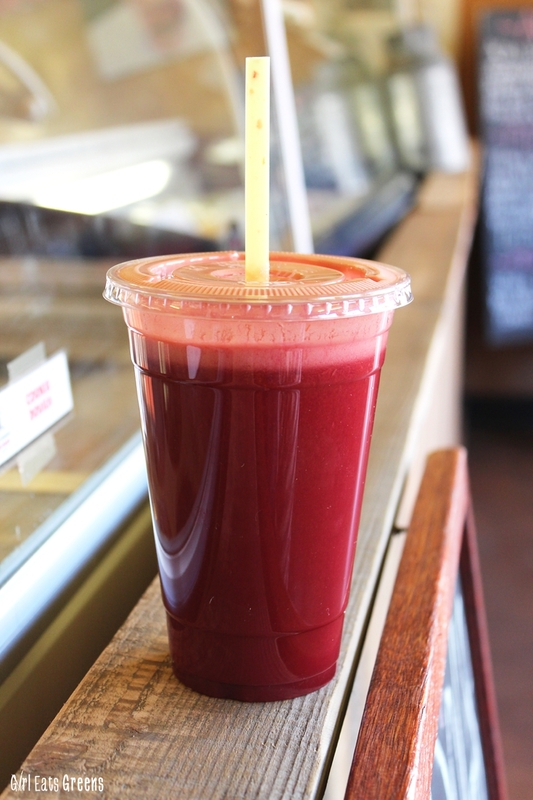 From gelato and doughnuts to fresh juices and acai bowls, you could be as healthy or not as you like. After perusing the chalkboard menu, between the three of us we ordered two green juices and a red. The owner was super sweet as he pulled all the fresh veggies and fruits out of the fridge and juiced them while we waited. He let us taste test an decide if we needed anything added or liked it just as it was (no one ever has time for this in NYC!). 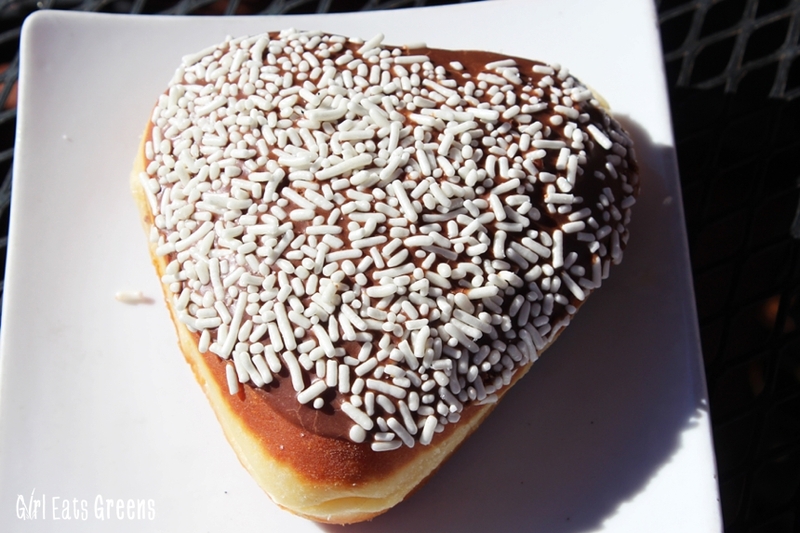 As we worked on our juices and our tans, the owner came out with a heart-shaped doughnut and espresso he made that he insisted we try. Well, put some caffeine and chocolate in front of a group of girls, and you’ll have nothing leftover. This day was no different. 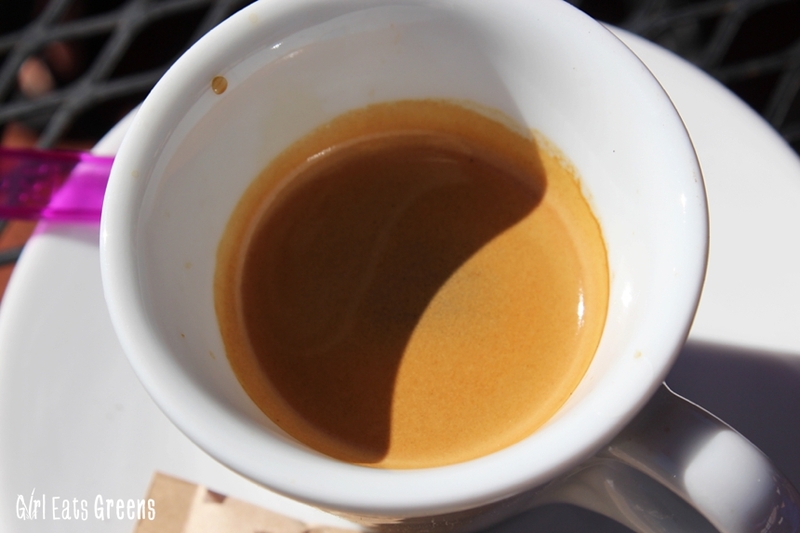 And thanks to the cafe owner, we headed off for a day of wine tasting fully caffeinated, sugared, and vegetabled. And what’s better than that? 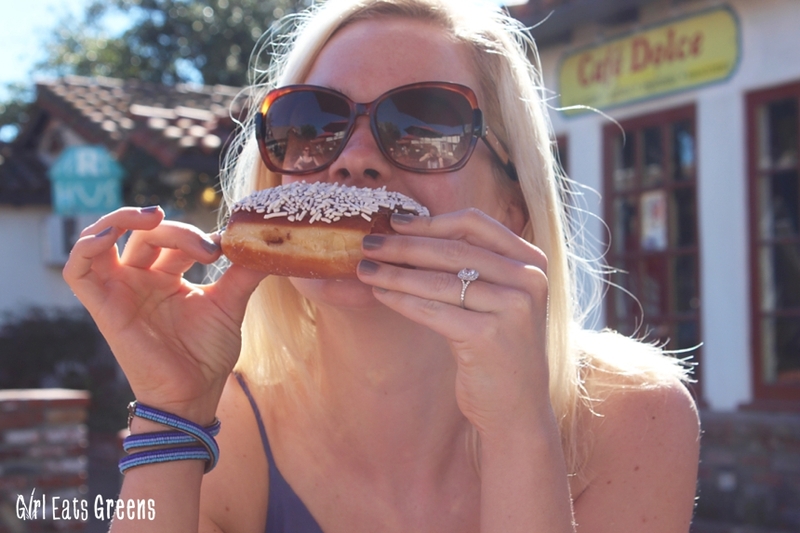 If you find yourself in Solvang, definitely give this spot a try.